As an environmentally conscious business, Your Feel Good Soap Company is far from what you’d expect. For one thing, the camouflage shades that stereotypically characterize green products are nowhere to be found. Co-founder Karina Fuentes is taking advantage of ingredients that literally grow on trees. Using natural oils, Fuentes handcrafts products based on her own recipes and her clients’ needs. The homemade, eco-friendly philosophy that You Feel Good Soap Company embodies is part of a growing trend in the Toronto cosmetics industry. In another corner of the city, a company called Pure + Simple operates on similar principles. With an innate understanding of products and treatments, as well as a strong entrepreneurial skillset — she is a Rotman Marketing alumna — Eng founded Pure + Simple along with her daughter, Kristen Ma. In founding the company, the pair sought a natural way to solve their chronic skin challenges. In fact, sensitive skin is a problem that catalyzes the founding of many green cosmetics businesses. Julie Clark — aromatherapist, holistic aesthetician, and owner of Province Apothecary —has always had trouble finding products that won’t irritate her skin. This encouraged her to start experimenting with beauty recipes in her own kitchen. Eng mentions that many ingredients used in conventional beauty products effect consumers’ long-term health. For example, parabens, phthalate, and PEG compounds, all of which are common ingredients in cosmetics, are known carcinogens. Gaelyne Leslie, founder of Crawford Street Skin Care, has had her fair share of unpleasant skin experiences. When she turned 40, she broke out in a horrible allergic reaction to a moisturizer, which resulted in her wearing a hat with a veil to her own birthday party. After seeing a dermatologist, Leslie discovered that there about ten harmful preservatives in the moisturizer that had triggered her allergy. Leslie then decided it was time to take matters into her own hands. In contrast to chemicals and preservatives, natural products are great for all skin types. Leslie crafts her products with great care, using all natural, locally sourced, and certified fair-trade ingredients — all of which have beneficial properties. When it comes to her own company, Fuentes has a similar vision. As she walks me from shelf to shelf, she explains how Your Feel Good Soap Store operates. The majority of her products are made from vegetable oils and water, with herbs and essential oils added to give them their unique touch. “We want to keep it simple and just take advantage of all the benefits that you already find in [natural] oils,” Fuentes explains. Customers of Your Feel Good Soap Store have two options: they can either buy one of Fuentes’s creations, or design their own recipe according to their skincare needs. By adding different essential oils to the all-natural bases that Fuentes provides, individuals can find the blend that works for them. Fuentes has also used essential oils to target specific skin conditions. For acne, she recommends eucalyptus and frankincense. For psoriasis she recommends a soothing blend of patchouli and lavender, a combination preferred by one of her satisfied clients. 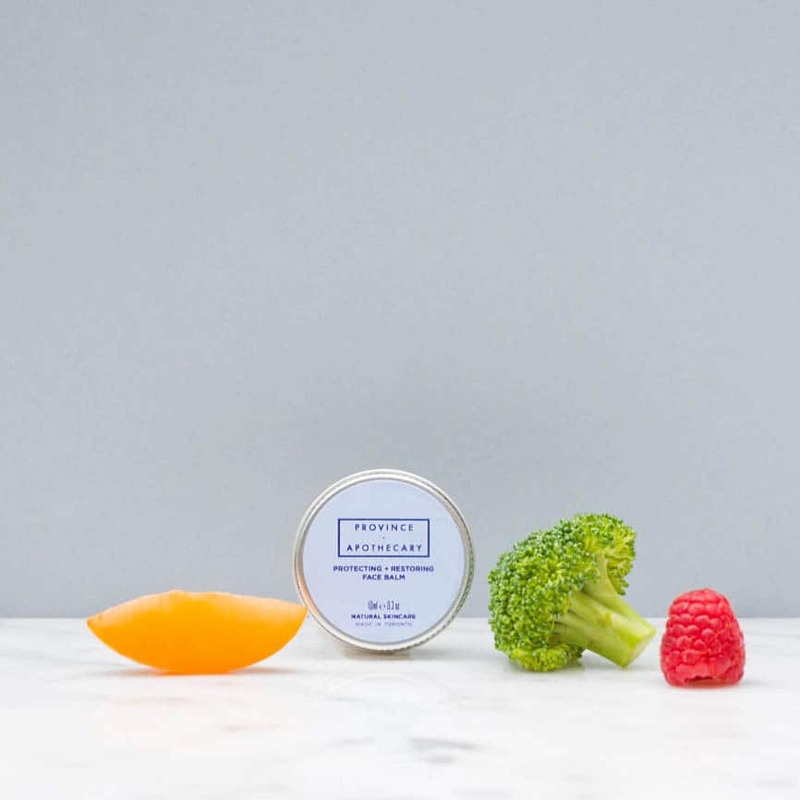 Fuentes even has a solution for students who have trouble concentrating on their studies: in the past, she has crafted a hand cream with rosemary, known for enhancing focus. By rejecting synthetic and sometimes harmful additives, green cosmetics companies are developing innovative ways to help individuals embrace their natural beauty. This mantra has also inspired Pure + Simple to expand their focus beyond selling products: they also examine their clients’ health, which could reveal the underlying causes of their skin issues. Undoubtedly, natural cosmetics carry a significant appeal for individual consumers. The same companies are also paving the way for environmental progress. For instance, all four businesses refuse to test their products on animals. This sets them apart from many large beauty corporations, who continue to hold objectionable track records in this area. “ …We don’t test our products on anyone but ourselves — [and a] few guinea pigs called family and friends,” Leslie says. Fuentes also mentions that she has revised traditional soap recipes — originally made with animal fat — in order to ensure that her products are cruelty-free and vegan-approved. But even if products aren’t directly tested on animals, they may contain toxic components that harm wildlife or damage ecosystems. In fact, the environmental impact of synthetic beauty products still remains relatively unknown to the general public. Leslie attributes this to weak disclosure laws in Canada, explaining that consumers are not warned of many risks associated with cosmetics ingredients. However, the fact that green cosmetics businesses are growing in popularity signifies the growth of Toronto’s environmental movement. The city has taken steps towards a smaller environmental footprint by pushing programs like Live Green, an initiative that encourages businesses to provide their clients with eco-friendly solutions. Businesses themselves have also developed unique ways of encouraging eco-consciousness. 100 per cent of the proceeds from Pure + Simple’s tea tree deodorant are donated to the David Suzuki Foundation. Your Feel Good Soap Company and Pure + Simple have also introduced a bottle-return program, providing an incentive for consumers to reduce waste.